Service – Pueblo Pipe and Steel Inc.
Come and see us for your sheet and plate cutting needs! 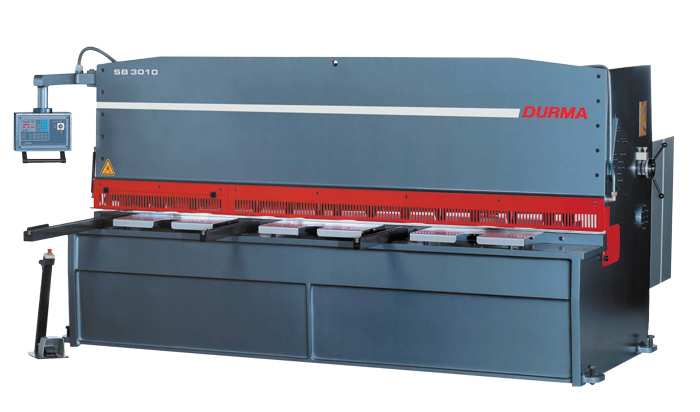 Our 10ft Durma shear easily cuts sheets and plate steel up to ¼” in thickness. We have the lowest prices per cut in the valley! Precise straight cuts will save you labor and make your project look professional! At Pueblo Pipe we have a 10′ leaf brake, a 3′ Box Pan Brake, suitable for custom projects from light gauge sheet metal. With our large Baileigh Band saw and Edwards Iron worker we can cut to length or custom cut your next project for you! We now have a tubing roller that will roll up to 2″ square tubing, to create custom curved gate toppers, livestock feeders, or anything else that would require large diameter circles rolled.